Staring into the eye of a whale is like staring into the soul of these magnificent sea creatures. A clear intelligence exudes. You cannot help but connect and appreciate a mutual and intriguing understanding for each other. No matter how experienced a diver or snorkeller you are, nothing quite prepares you for the first time you slip into the water with a 35 tonne humpback whale. The anticipation and excitement is truly exhilarating. Whale watching from a boat can be really enjoyable, but it will never come close to sharing the ocean with these majestic creatures, gaining a true appreciation for their size, beauty and magnificence in the depths of the open ocean. 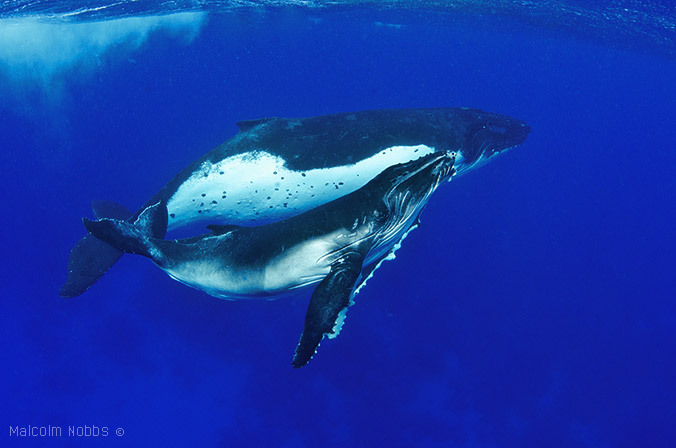 As a professional underwater cinematographer, I’ve had the pleasure of filming many large marine animals such as the Great White, Australian Sea Lions or hundreds of schooling hammerheads in Costa Rica, but the most awe inspiring moments of my career have been underwater with the humpbacks of Tonga. My first underwater whale experience has been happily etched in my memory for eternity. I’d half imagined it would be in some protected tranquil bay, not a sound around – much like the quintessential documentary footage of the Alaskan humpbacks. Instead, we were about 20 nautical miles offshore in balmy Vava’u, Tonga. We had been searching for a mother and calf that would allow us to get in the water with them for several hours. Yes that’s correct, they must “allow us” to swim with them. If the mother feels at all stressed, or not comfortable with the situation, she will move on and with an average cruising speed of 8-10 knots, there’s simply no way to keep up with her. The boat stopped, it was choppy and blowing 15 knots, but the water was blue… I mean really blue, absolutely ‘gin clear’. As I slowly lowered myself into the water a crew member passed me my camera and I started making my way towards the pair. Swimming slowly, not splashing and keeping calm is critical in not spooking the whales. Before I knew it, the calf started moving towards me. Although it was over six metres in length, it’s body and movement actually remind me of a puppy, all excited and flopping around. She comes right up to me to check me out – I’m not sure who is more intrigued. Then I spot the mother and I catch myself thinking ‘you know she doesn’t look as big as I had imagined’ – famous last words. As I swim closer and closer, I suddenly start to comprehend that she is in fact much further away that I’d initially thought. Due to the clarity of the water, some +50 metre visibility, getting an accurate perspective is difficult at best. Finally, I’m within five meters of the mother and her true scale is staggering. I follow her mouth down to locate her eye and it is way off in the distance, her girth is simply mind-blowing. Just then the calf surfaces, takes a breath and swims under his mother’s pectoral fin like she’s cuddling her. Despite her size, the mother is so gentle in response. Sharing such an intimate moment, it’s hard not to get emotional. Always keeping an eye on us, the mother guards her most precious possession dutifully. In Tonga, the maximum number of people allowed in the water with a whale at any one time is four, so we broke into two groups and spent the next 45 minutes taking turns in and out of the water enjoying the experience. Finally, just when we were just finishing up I heard one of our group who was still in the water scream out and suddenly the mother breached no more than 10 metres away from her. The calf then very quickly tried to imitate the mum and gave it a haphazard ‘puppy’ go! The following hour was spent with the pair who breached and played. Not a bad end to the first day of the expedition. In the middle of each year, the humpback whales migrate thousands of miles from their Southern hemisphere summer feeding grounds in the Antarctic, north to the warmer waters of the Pacific. In these warmer waters, the females give birth, nurture their calves and mate with the bulls before they all head back to the Antarctic in November for another season of feeding. 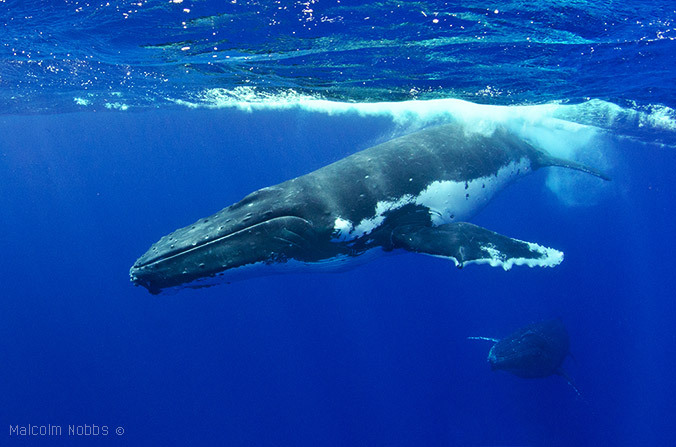 Whale-watching is a boom industry, especially along the east coat of Australia, but Tonga is one of the very few places in the world where can you legally swim with the spectacular love-song-singing humpback whales. With an array of over 170 islands across 740,000 square kilometres of West Polynesia, the Kingdom of Tonga is one of the most beautiful and unspoiled of Pacific island nations. Dramatic volcanic landscapes combine with tropical rainforests and pristine coral atolls and beaches. As the only Pacific nation never to have been colonised, the Kingdom’s robust history, culture and traditions are still a vital part of daily life. ginclearfilm’s Tonga expeditions cater for a maximum of eight people per trip. It’s a good size that allows us to evenly split the group into two groups for alternating swimming with the whales, allowing a good combination of activity and relaxation during the day. In addition to swimming with the whales, we explore some fantastic snorkelling sites, including Swallows Cave, a large cave with shafts of light illuminating the crystal clear water and thousands of glistening bait fish. Simply breathtaking. 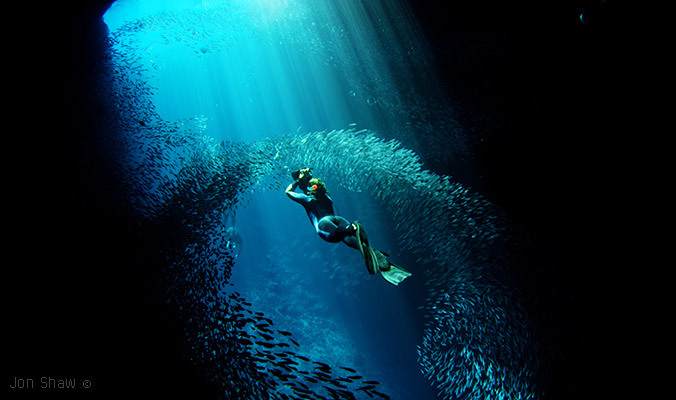 Certified divers will also have the opportunity to take in some of the great dive sites that are on offer in this part of Tonga. There is excellent visibility, good coral growth and stunning topography, although it does lack big schools of pelagics. Our expeditions exclude international flights but travelling to Vava’u is cost effective from Australia, with Virgin Australia flights ranging from $500-$700 AUD to Nuku’lofa and then a short domestic flight to Vava’u, which takes just over an hour. Tonga’s average annual daily temperature is a comfortable 24°C. The whale season runs from mid June through to mid October, with the peak season being August and September. During the whale season, the water temperature is around 25°C and a short spring suit or thermal rash vest usually suffice. There is strictly no diving or snorkelling on a Sunday in Tonga so we organize a special day trip to a local Church, adding a great cultural experience to the itinerary, followed by a great traditional feast on the beach. 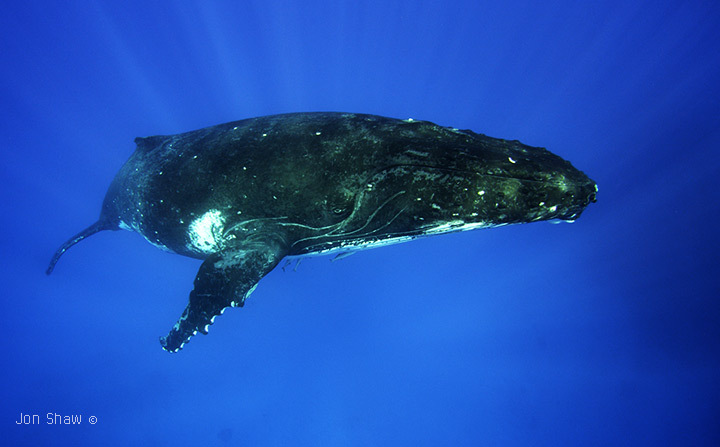 For more information on our expeditions, visit http://ginclearfilm.com/swim-with-humpback-whales or contact me via enquiries@ginclearfilm.com or our Facebook page. Tongan Humpbacks 2012 from ginclearfilm on Vimeo. Great article Jon I look forward to meeting up with you again soon for your 3D film shoot . Then again when I get the pleasure of hosting you & your groups and introducing them to the worlds BEST wildlife interaction . A few whales have arrived already and we hope to find some that would like us to join them in the Gin Clear waters of Vava’u soon . Thanks Phil, looking forward to catching up too and seeing the newly refurbed boat.